So, I'm going to start out with a layout that I did earlier in February. 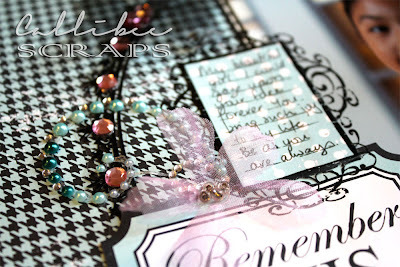 This page features Teresa Collins Friendship collection papers among other things and was so much fun to work with. 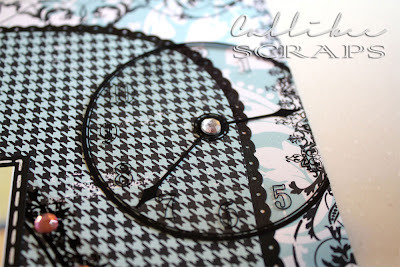 All papers and embellishments came in the My Creative Scrapbook November 2009 main kit. The photo was taken during one of Miss C's ballet lessons. Although I love the pose, most of the right side of her face in the photo is in shadow. In the end, I felt it lent a certain atmosphere to the picture and goes well with the brighter papers it is featured on. A striking tri-coloured layout, with pink being an accent colour to make the light turquoise and black pop. 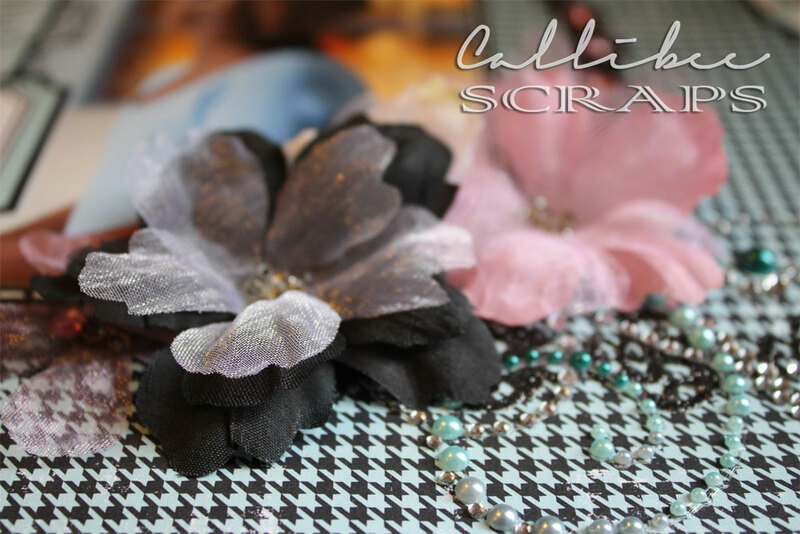 Pretty houndstooth papers provide a wonderful backdrop for silk flowers and gorgeous pearl/diamante bling flourishes. Transparencies can be stuck on by adding a brad in the middle or in this case, a few strategically placed glue-dots behind the printed areas. If you look on the left, I've used a white marker to draw on a faux-stitched border for my photo matting. 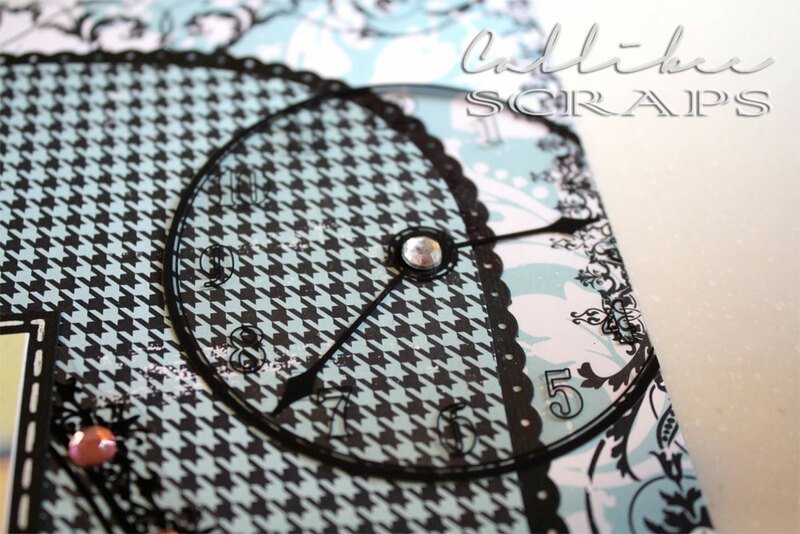 The black scalloped edging was made by punching out thin strips of black cardstock and carefully adhering them down to the back of the patterned paper, following the edge of the houndstooth paper. Carefully cut out transparency circle is embellished with individual pink jewels while the journalling in framed in a Bo Bunny rub-on. At the end of each layout, I will try to list out all the products I have used and a link to the manufacturer, however, this may not always be possible, so bear with me. Although I can provide a link, some products may be from past seasons and therefore, could be discontinued.